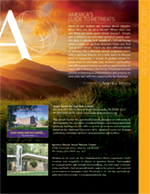 Montserrat Jesuit Retreat House is a place of quiet, peace and prayer. Rooted in Ignatian spirituality, our purpose is to help you find your own way to God and discover what God hopes and wants in you and your world. Register for your retreat today by phone or online!